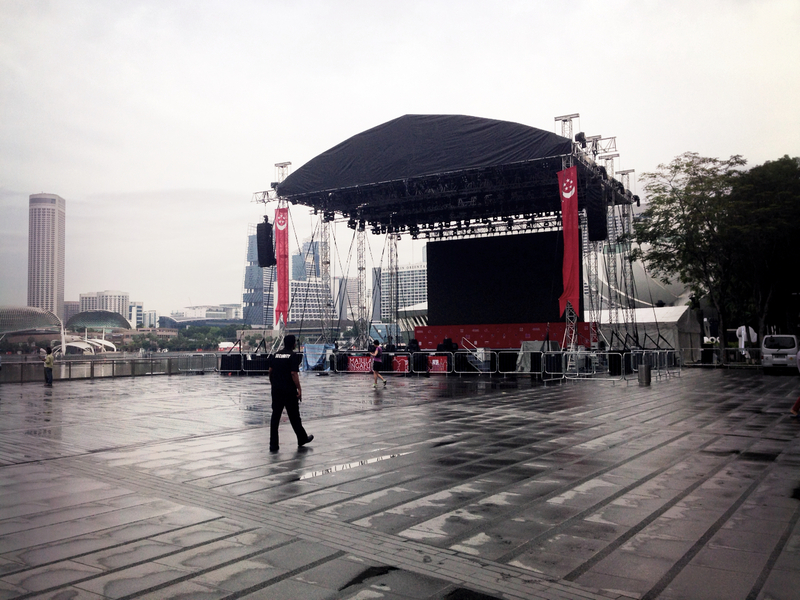 Photo Diary – SG50 National Day Run | JustRunLah! There are 50 mega numbers lined around the bay area. 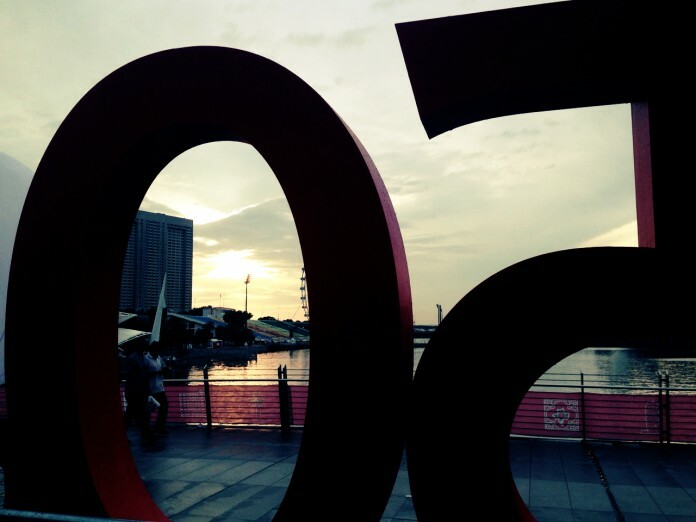 They moved the 50 to the Jubilee Bridge from its position at the floating platform last week. It has been raining hard for the past 3 days and the skies cleared on the morning of 9th August 2015. 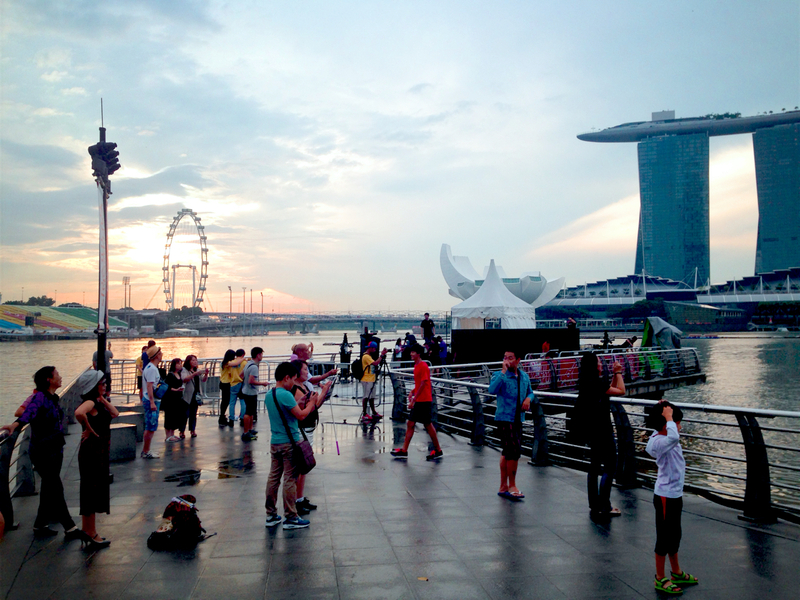 The day is the 50th Jubilee birthday of the miracle city state Singapore and SG Unfit Runners decided to pay a visit to Marina Bay, where all the action will be later during the evening. We celebrated the nation birthday using different ways. 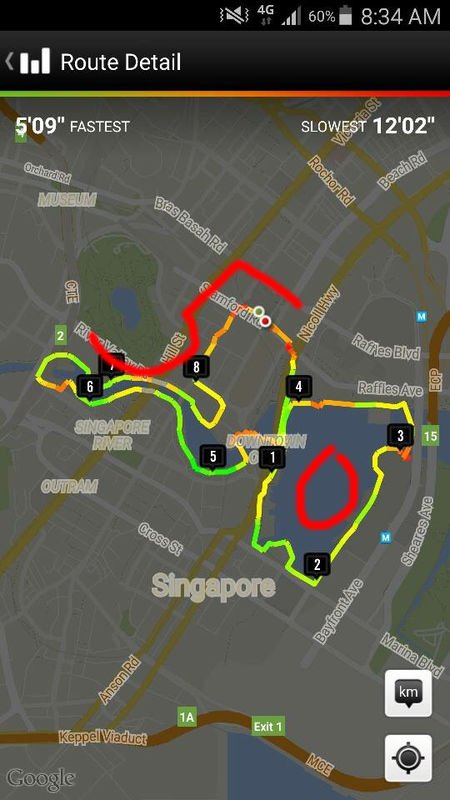 I decided to take photos around the Bay area while Big Boned Guy tried to trace the number “50” on his Nike run app. 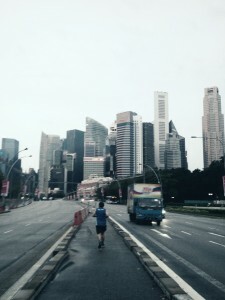 Fang Tai ran down Orchard Road (I don’t see how that’s symbolic but it is probably a girl thing) while Lazy Girl overslept and turned up for Breakfast-After-The-Run. Big Boned Guy tried to trace a “50” around the bay area. Can you see it? Security personnel patrols all around the Bay area. 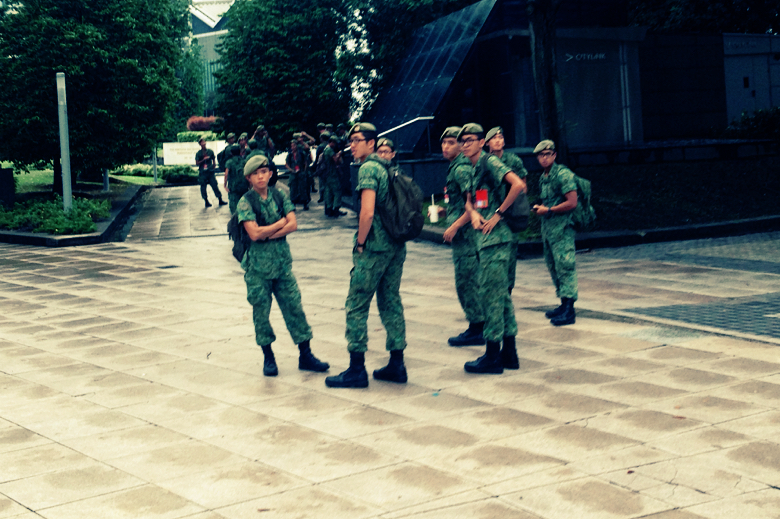 Our men in green turning up early preparing for a long day ahead. Kudos! 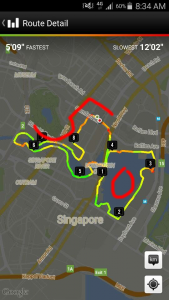 Visit SG Unfit Runners for more routes for absolutely unfit people. 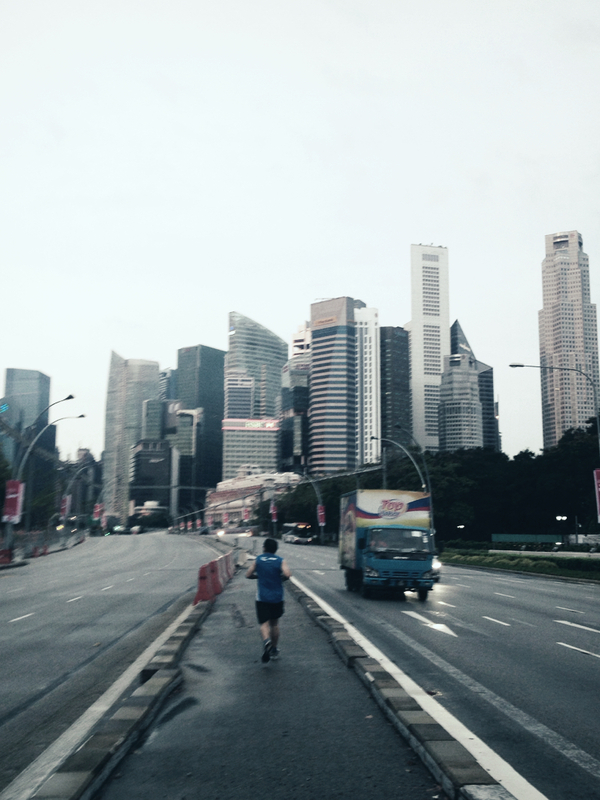 Don’t visit us if you are very fit and do ultramarathons without breaking a sweat! 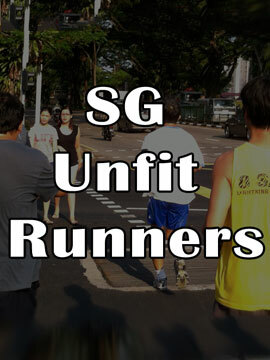 SG Unfit Runners is an award winner at the Singapore Blog Awards.